The delightful coastal village of Ballycotton is approximately 25 miles east of Cork City, and has a rich heritage of Irish culture with an annual arts festival and a tradition for Irish music. 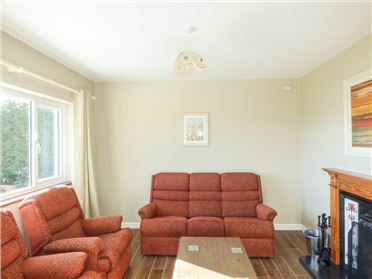 The village is a marvellous base for exploring the region as it has numerous attractions like the nearby Fota Wildlife Park and Ballymaloe House and Gardens, which has a cookery school. The famous Blarney stone can be found nearby at Blarney Castle where visitors are invited to kiss it to get the â€˜gift of the gab'! Outdoor pursuits are numerous with sailing, surfing, scuba diving and sea fishing to name a few, for more land based activities there are a number of golf courses to choose from, and of course there are plenty of walking opportunities in this stunning part of Ireland. Oil central heating with multi-fuel stove and open fire. 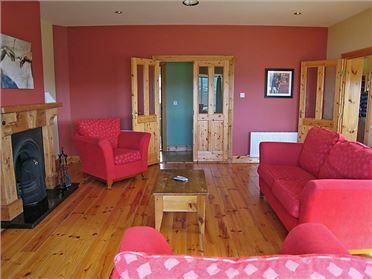 Electric oven and hob, microwave, fridge/freezer, washing machine in utility, dishwasher, TV with Saorview, DVD, CD/radio, selection of books and games. Fuel, power and starter pack for fire inc. in rent. Bed linen and towels inc. in rent. Off road parking for 4 cars. Outside storage. Enclosed front patio with furniture. Courtyard garden with furniture and BBQ. Sorry, no pets and no smoking. Shop and pub 1 mile. Coast 1 mile. Note: This property is only suitable for a maximum of 5 adults. Note: This property is situated on a road with intermittent but fast-moving traffic, courtyard has open access to road, and children must be supervised. Note: There are horses kept in gated stables behind the property. Note: Stabling for horses or horse riding lessons may be available, contact the owner for more information.